I made a version of this post 6 months or so ago, and decided to "vamp" it up a bit by adding other ingredients. Throw in a little veggies and it's all good! Mix all ingredients except wrappers and water in medium bowl. If you have never made eggrolls before, I am leaving you THIS link for directions. it really is very easy. Fry in hot oil till lightly browned. 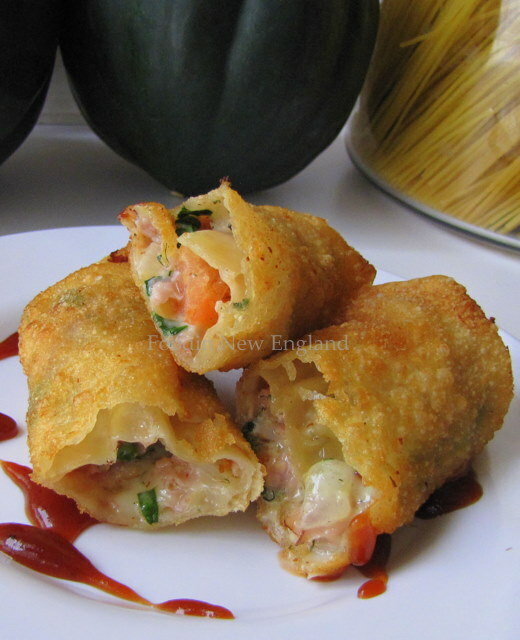 I love the combination of the ingredients in these egg rolls. They look very delicious. These would be a hit in my house and bet they make a perfect party food. sound and look super-yummie. would just eat too many of these. what dipping sauce would it go with them?